Since the release of the iPhone in June 2007, the Mobile App market has exploded. Google’s Android OS hit the market in 2008, and then the iPad and Samsung Galaxy Tab in 2010. Now, the number of Apps available to mobile users is staggering. We are all familiar with the multitude of recreation-oriented Apps, such as games, social media, exercise tracking, wayfinding, and many more. However, businesses have found even more uses for Mobile Apps as well. Some businesses develop Apps to enhance employee productivity. Others create Apps that provide mobile-specific interfaces for their customers that are even more tailored, feature-rich, and user-friendly than responsive websites. The opportunities for developing Mobile Apps that are useful, beneficial, and profitable for employers and their employees is virtually limited only by one’s imagination. Bring Your App Ideas To Life! 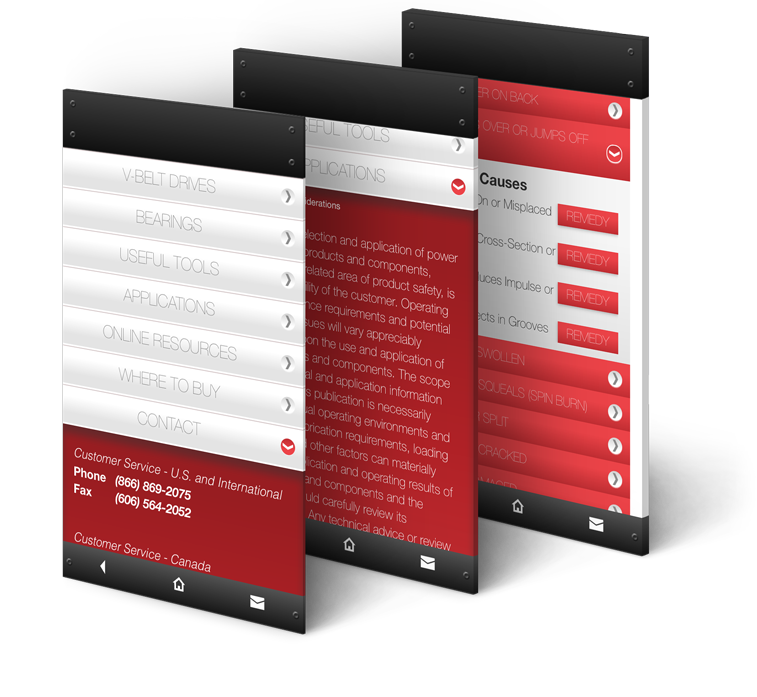 And no matter what your Mobile App goals are, Edge Webware has you covered! Whether you’re looking for Android, Apple, Microsoft, or all of the above, we can design and develop a custom-tailored Mobile App for your business. With mobile devices everywhere, businesses that have not already leveraged this enormous market are missing out on tremendous opportunities. Contact us today and discover how we can partner with your team to make your Mobile App concept a reality! We can also assist in overhauling existing Apps. Figure 1: Android and iOS Mobile App developed for HVAC contractors and maintenance technicians. The App features calculation and conversion tools, a GPS distributor locator, and numerous reference materials.